Be sure to keep up with all of Douglas Clegg’s upcoming releases — subscribe to Douglas Clegg News. Every year they flew, painting the skies with summer beauty. It was the gardens that attracted them, particularly the garden up behind the stone wall at the Raleigh house, high on a hill overlooking down. Celebrities showed up to our little town, tourists from all over the country and sometimes from other countries, too. 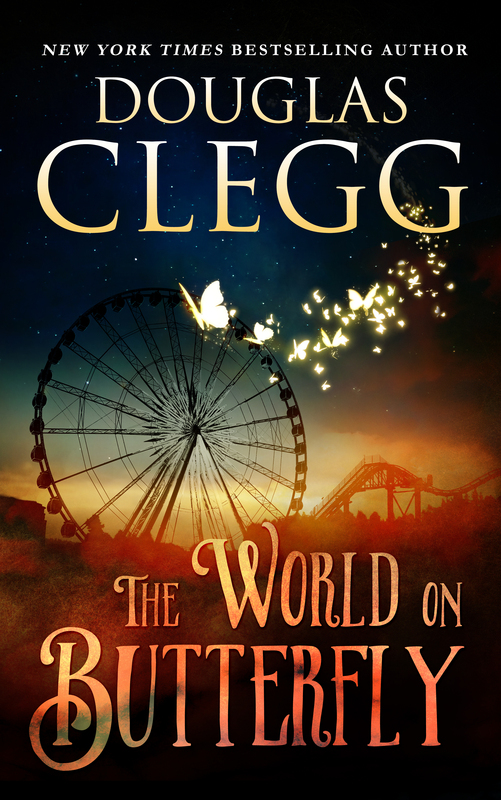 Summer concerts, a Butterfly Festival, a carnival with a ferris wheel that went so high you could almost touch the butterflies as they descended the sky, a parade — and love. What attracted the butterflies each year? Why had this suddenly begun when the Raleigh’s moved in? Where, among its many-acred garden of eden, orchestras played, partners danced, and the fragrance of love itself filled the air?